A church has helped to bring medieval history to life using the backdrop of their own historic building in the run up to the opening of the Fife Pilgrim Way later this year. Members of Markinch Parish Church welcomed around 80 visitors to the 12th century site at the weekend for a talk about what was once one of the holiest pilgrimages in Britain. Local historian Bruce Manson spoke on 'Medieval Markinch: A TripAdvisor Guide for Pilgrims', whilst tours were also offered around the medieval site. The event was the first in a series planned by the Fife Coast and Countryside Trust, designed to help people to become more familiar with the background to the sacred route. Local historian and author Bruce Manson delivered a fascinating talk on medieval Markinch and the history of pilgrimage in Fife. Set against the background of the church's 900 year old tower, Mr Manson looked at the building's history and explored what pilgrims would have seen as they passed through the town on their way to St Andrews. Based on evidence of so called 'spittals' or pilgrim hostels along the holy route, which for hundreds of years held deep spiritual meaning, he showed that at one time there were many different paths crossing Fife used by religious visitors. 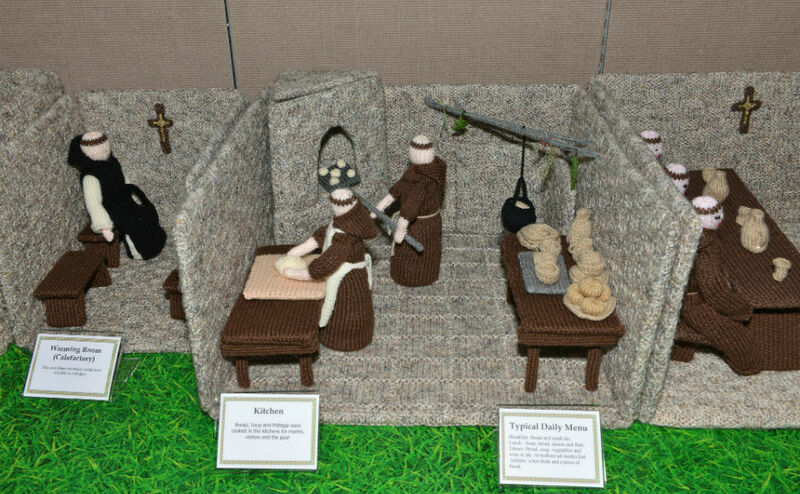 Described as "a work of art in itself", an intricate display of knitted scenes depicting the daily life of monks as well as pilgrims was also exhibited, which showed snapshots of the daily lives of the people who would have been connected to the walk. 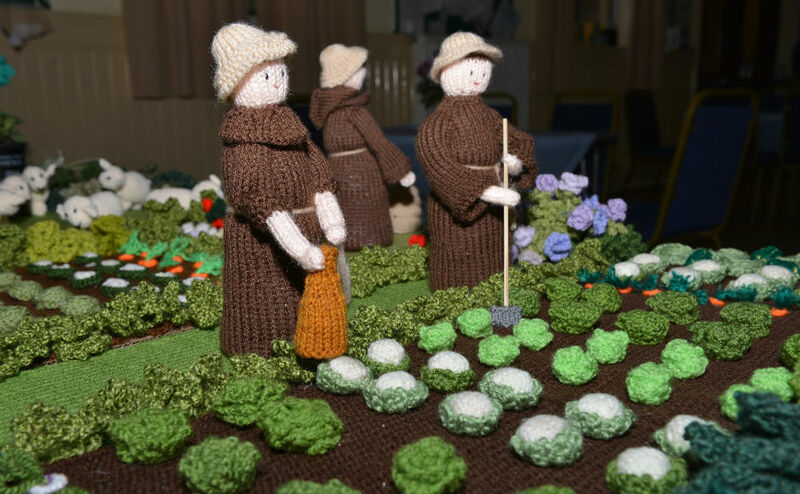 The crafted figures were designed by Rev Elizabeth Fisk and made by members of Culross Abbey, who loaned them to Markinch for the exhibition. The church worked with two other groups locally, the Community Council and the Markinch Historical Group, to put together the event. The 70-mile route will begin in Culross and North Queensferry via Dunfermline and end in St Andrews. Meanwhile the group Action Together of Churches in Scotland will work with the Fife Coast and Countryside Trust to encourage churches to work ecumenically and with their local communities in preparing to welcome those who use the route. 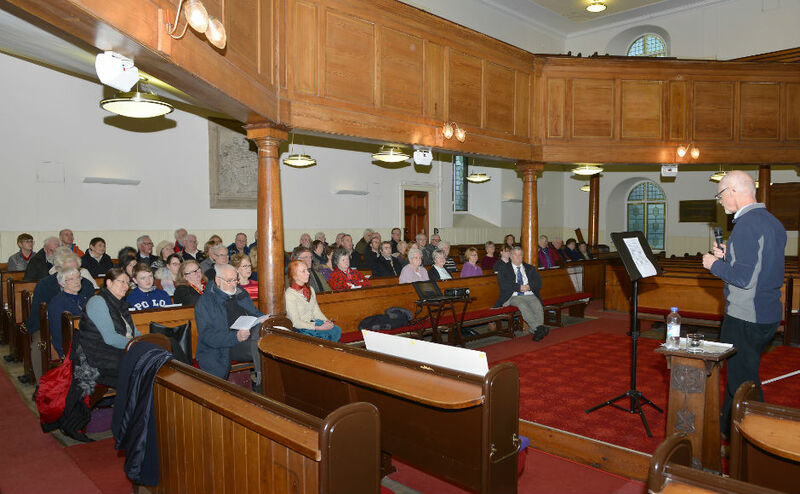 Markinch & Thornton Parish Church Session Clerk John Wood described the event as "well organised". "The information Bruce imparted to us was very informative and there was a very good atmosphere", he said. 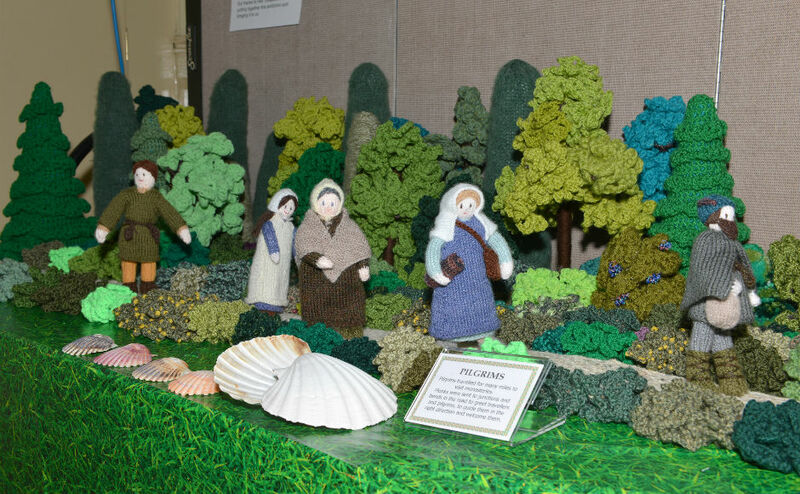 "The knitted exhibition is a work of art in itself. "We're looking forward to further developments with the Fife Pilgrim Way", he added. Miranda Lorraine, Fife Pilgrim Way Community & Business Engagement Officer, said: "We are delighted to have such a committed and enthusiastic community group in Markinch and in other areas right along the route to assist us with this fantastic project and look forward to working with on future project elements." Fife Coast & Countryside Trust will run a range of exciting interpretive features, and a programme of free community activities until March 2019. The next talk will be in Culross on Tuesday 20 February and will focus on the original sources showing pilgrimage and pilgrimage networks in medieval times through Fife. For more details of events go to the Fife Coast & Countryside Trust website or follow the Fife Pilgrim Way on Facebook or Twitter.